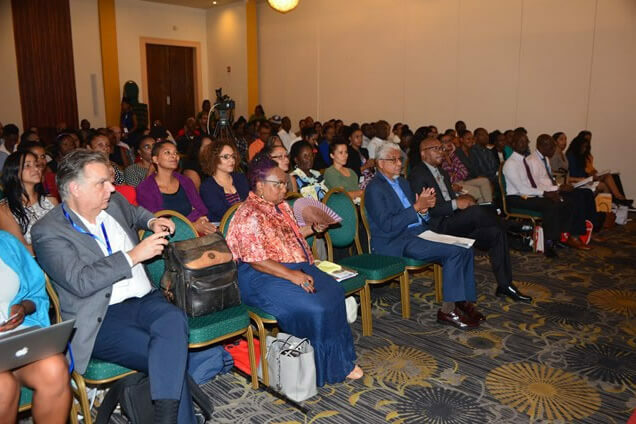 The University of Guyana (UG) in collaboration with the Caribbean Alliance of National Psychological Associations (CANPA) today presented a Suicide, Youth Violence and Professional Psychology Symposium at the Pegasus Hotel. The all-day symposium saw presentations from academics and stakeholders of the education and health sectors on Suicide, Violence, and Psychology. Minister within the Ministry of Public Health, Dr. Karen Cummings stated that the symposium is timely and relevant since it comes at a time when Guyana is faced with many social problems. “This programme will produce highly trained practitioners capable of competently and professionally addressing the variety of mental health issues in order to enhance the lives of those who often times suffer in silence. More importantly, our new professionals will be able to address the stigma and humiliation to which both victims and family members are subjected by society,” Dr. Cummings said. 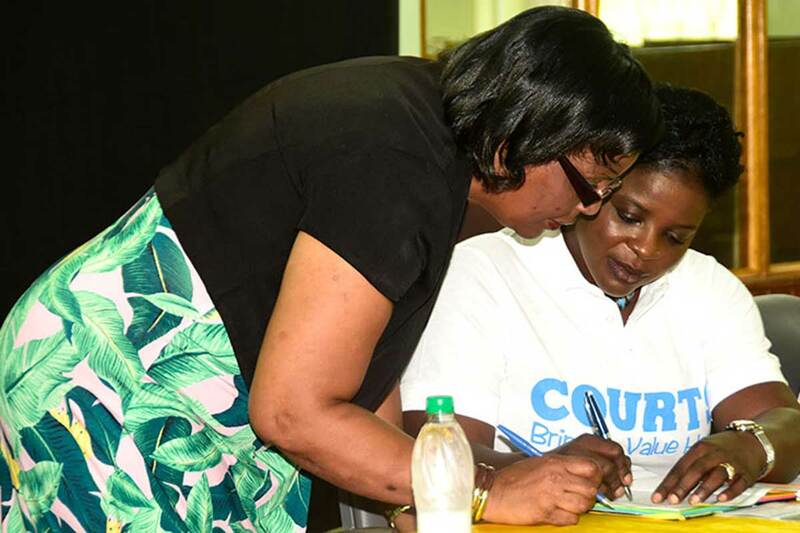 She reiterated the importance of psychologists in society while noting that she is confident the symposium will lead to the formulation of strategies to advance the study of psychology in Guyana. President of CANPA, Professor Omwowale Marshall noted his satisfaction in partnering with the University and explained the aim of his organisation. “What we have come to do is to show you an array of glimpses of psychology, psychological science, and practice; so that you can see what our profession can offer Guyana,” Professor Marshall expressed. “According to Multiple Indicator Cluster Survey 2014, almost 70 percent of Guyanese children have been victims of a form of violence. Violence often leaves visible scars, violence always leaves invisible ones,” Marchi underscored. Expressions of Youth Violence and a Professional Response. As of January 2018, persons will have the opportunity to attend courses for Psychology at the University of Guyana (UG), following the launch of the programme on Monday evening at the institution’s Turkeyen campus. In a feature address, Minister within Ministry of Public Health, Dr. Karen Cummings said that the inauguration of the programme demonstrates the efforts made by the university in assisting government’s agenda to address mental health issues. “The government of Guyana through the Ministry of Public Health has embarked on a rigorous programme to address mental illness in Guyana. For the first time in the Ministry of Public Health, a mental health unit has been established, a number of intervention has already been conducted countrywide as we seek to build capacity within our public health system,” the Minister explained. She noted that the launch of the programme indicates that the university is fulfilling its mandate of developing the human potential to tackle mental health issues. The programme seeks to increase the number of mental health providers available to evaluate and treat psychological conditions, reduce the high rate of suicide and also increase awareness, prevention, support, and compassion for those suffering from mental illness. It also provides professional growth and development for those currently in the mental health workforce, under-graduate and graduate-level clinical psychology training. It was highlighted that the development and enhancement of competence in the assessment, evaluation, and treatment of psychological problems would not only increase the level of professionalism of the field but reduce the burden of mental illness among the general population. United Nations Children’s Fund (UNICEF) representative Sylvie Fouet explained that the support offered to the university is simply the planting of seeds for tomorrow to sustain the programme. 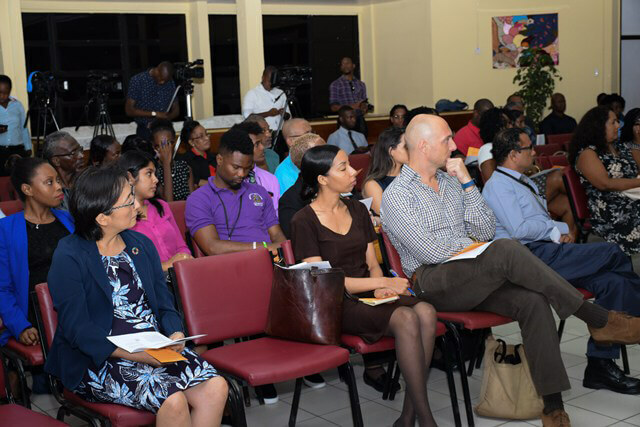 She thanked Caribbean Network of Psychological Associations (CANPA) for their support in the initiative, noting that though there may be difficulties as the university launches its psychology programme, assistance will be provided. Vice Chancellor of the university, Professor Ivelaw Griffith noted that the programme is testimony of the university’s effort to aim high. He added that the programme is one that the institution had envisaged for over 30 years; which led to several professors undertaking a preparatory psychology course. The psychology programme will offer a certificate and diploma, and a bachelor’s degree in general psychology slated for September 2018 and a masters in clinical psychology which will be set aside for June 2018. Those also present during the launch included Deputy Vice Chancellor Academic Engagement, Professor Michael E. Scott, Dean of The Faculty of Health Sciences, Dr. Emanuel Cummings, President of the Caribbean Network of Psychological Associations (CANPA) Prof. Omowale Omuleru Marshall and Deputy Vice Chancellor PACE – Professor Paloma Mohamed. In a feature address, Minister within Ministry of Public Health, Dr Karen Cummings said that the inauguration of the programme demonstrates the efforts made by the university in assisting government’s agenda to address mental health issues. Those also present during the launch included Deputy Vice Chancellor Academic Engagement, Professor Michael E. Scott, Dean of The Faculty of Health Sciences, Dr Emanuel Cummings, President of the Caribbean Network of Psychological Associations (CANPA) Prof Omowale Omuleru Marshall and Deputy Vice Chancellor PACE – Professor Paloma Mohamed. Find attached below the colour drawings for the proposed Students' Complex. Dr Reynolds, who was accompanied by Registrar Dr Nigel Gravesande, pointed out that the University of Guyana is also working on retooling its geological engineering programme to offer an undergraduate degree in mining engineering and is looking for expertise in and out of Guyana in this area. Plans are also afoot to establish a Business Development Unit to go after contracts and grants and to also bring business to the campus, working in conjunction with the public and private sectors. 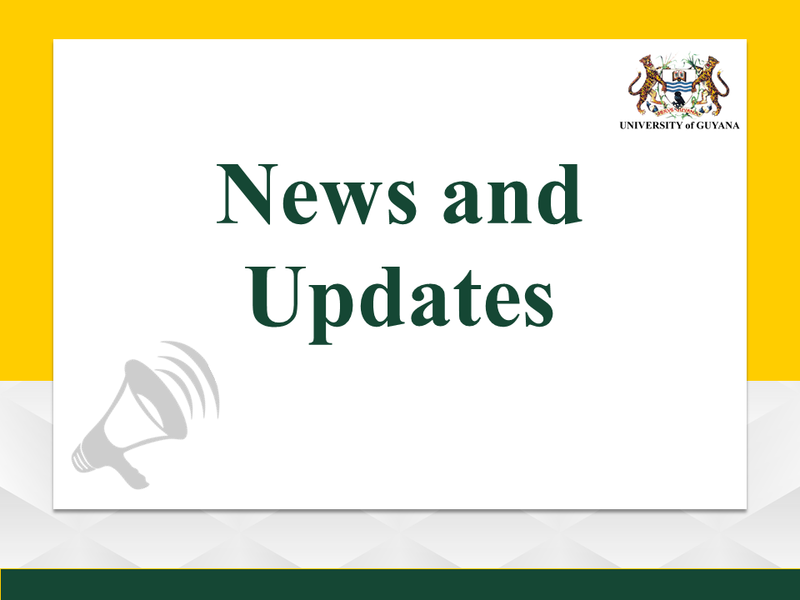 Explaining that the university recently started merchandising on a small scale, Dr Reynolds said this will be further expanded, so visitors will have the opportunity to purchase items as gifts when on vacation or other business in Guyana. “We don’t necessarily want to say to people that you must come home. I am a proud ‘comebackie’ after spending 30 years outside of Guyana. It’s not necessary that everyone can come home, but we definitely need to engage with people of Guyanese origin or their off-spring who are doing wonderful things in North America and elsewhere to engage and share some of those resources with the University of Guyana. Dr Reynolds also pointed to start commencement of a series on Law and Society and “for the first time in many years, we were able to fill the Walter Rodney Chair.” Touching on the needs of the university, the vice-chancellor said, it needs people who will help in building the pension fund which is a mere $20 000 per month, upped from $3 000 by Vice-Chancellor Professor Ivelaw Griffith, people who are willing to invest [in] food services, people in IT, even those who are willing to come and do short courses. 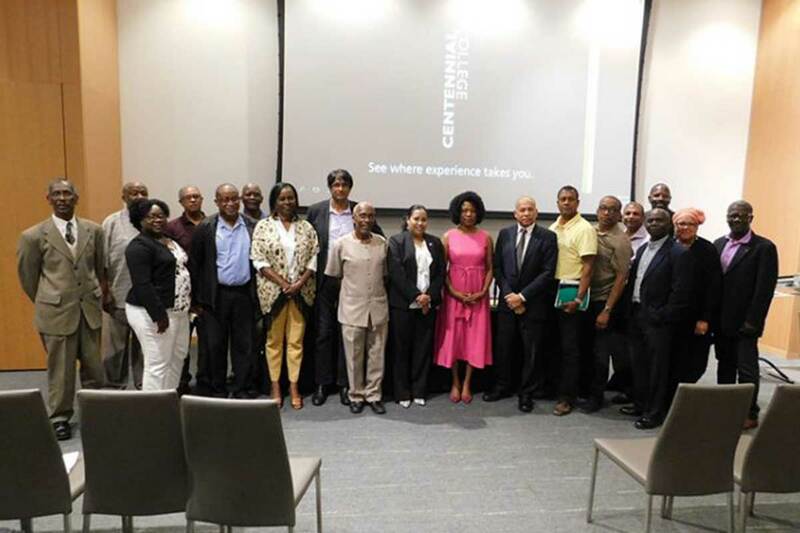 The evening’s programme was coordinated by the Guyana Consulate in Toronto with Consular General (acting) Candida Daniels giving the welcoming remarks, while the chairperson was Tameshwar Lilmohan. THE curtains on Friday came down on the University of Guyana (UG) Library’s thirteenth annual “Reading is Fun” programme when participants were presented with certificates and prizes at the institution’s library at its Turkeyen Campus. The programme was sponsored by Courts Guyana Incorporated for the past eight years to date and will continue to receive sponsorship. The programme had formerly run on its own for five years until Courts decided to give full sponsorship. At the ceremony there was a list of items portrayed by the youngsters who were registered as part of the programme. These items include dramatic poetry, an acoustic, a song and a skit. “Items on the programme are used to show what they have gained and developed and to aid us in an evaluation of how we can do it [the programme] better” pointed out Gwyneth George the Chief Librarian at the University of Guyana. George also pointed out that the programme targets what they call ‘vulnerable children’. For the past 13 years they have been working with the Sophia community of children whose ages range from 5 to 13. “The basic thing is reading but the programme does not only center on reading” George said. The other activities which the programme aid in are health tests, educational tours, computer knowledge and creative work such as poetry. The youngsters were placed into a number of groups and they worked alongside skilled resource individuals who are exemplary in literacy and reading. These individuals consisted of members of the library staff and members from the department of humanities and education. The programme which runs three days per week for three weeks registered approximately 50 youngsters this year. However compared to the numbers from the first two years when it had just begun, there has been a decline. The National Sports Commission (NSC) Friday signed a Memorandum of Understanding (MoU) agreement with two athletes, providing them full scholarships to Monroe College. This was disclosed during the signing held at NSC’s boardroom. It was announced that 12 athletes, were given full scholarships to the University of Guyana (UG) while two athletes were scouted and offered full scholarships by the Monroe College, United States of America. In brief remarks, Director of Sport attached to Ministry of Education Department of Culture, Youth and Sport Christopher Jones explained that the agency’s initiative to provide scholarships to the athletes were due to their performance at the Caribbean Free Trade Association(CARIFTA) Games, earlier this year. 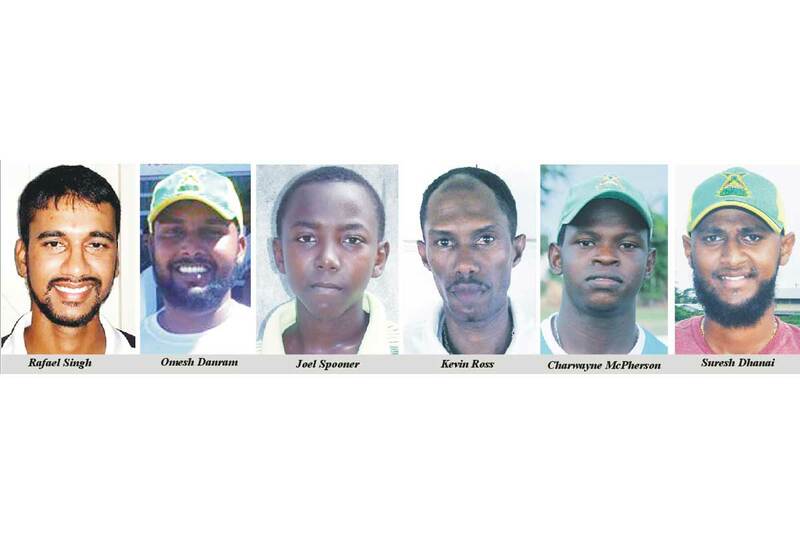 “The National Sports Commission (NSC) would make available to the two athletes namely Onassha Rogers and Claudrice McKoy, the same amount that would have been used to facilitate them at the University of Guyana (UG),” Jones noted. Jones said the amount offered will be provided on a yearly basis and totals $230, 000 per year for four years including $50,000 deemed as miscellaneous fees. He noted that the miscellaneous fees provided will be the same amount paid for those attending UG. Jones highlighted that the athletes who are slated to depart on August 18, will receive their first payment Friday August 04. He noted that though the two athletes have accepted the college’s offer, they will still receive the payment per the agreement. “As stipulated in the agreement should there be some reason they (athletes) are unable to complete the scholarship offered by Monroe College, the payments will cease however should they decide to pursue at UG, then the payment will continue,” the Director of Sport added. 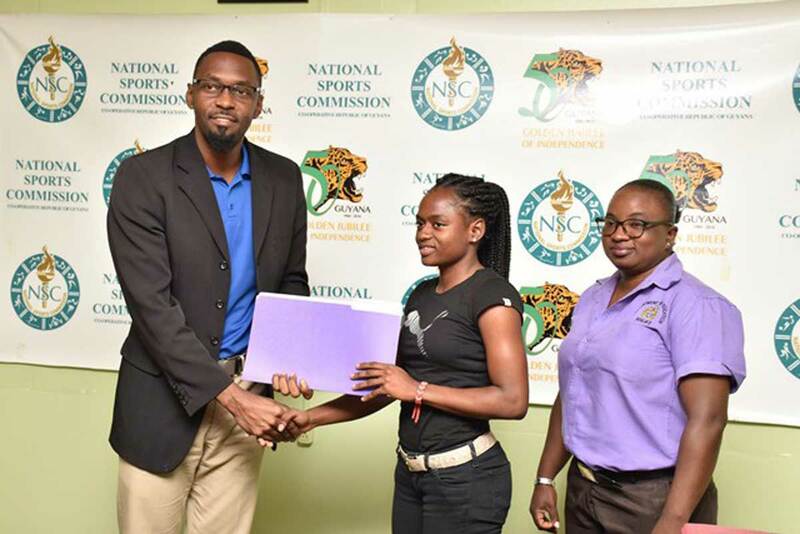 Onassha Rogers, one of the athletes slated to depart for the US, expressed her gratitude towards the NSC and the government for their support in her abilities and furthering her education. She said that she hopes to make Guyana proud for giving her the opportunity. “First of all, I would like to say thank you to the National Sports Commission (NSC), the Director of Sport Christopher Jones for this contribution made. I am very excited and happy for this opportunity to further my studies and I promise to do my best,” Rogers said. The Director of Sport noted that the agreement signed is part of the government’s mandate of honouring their commitment towards providing platforms for the athletes’ development. Faced with a “REP” problem for a protracted period, the University of Guyana [UG] is in desperate need of redemption. The way has already been paved for this renaissance but the problem must be recognised in order for it to be effectively addressed. Several problems faced by the state university were recently amplified by its Principal and Vice Chancellor, Professor Ivelaw Griffith. “UG has had an REP—Resources, Esteem, and Perspicacity—problem. I am quite mindful of the prescient proposition of Writer and Philosopher, Rabindranath Tagore: ‘You cannot cross the sea simply by standing and staring at the water.’ “Thus, on assuming the Vice-Chancellorship, rather than lament, I launched Project Renaissance, which aims to rebuild UG’s educational and economic enterprise and enable it to become a consequential national and international educational stakeholder,” asserted Professor Griffith. Professor Griffith’s remarks were made during his inaugural speech after making history as the first Vice Chancellor of the UG to have a coronation ceremony. But Professor Griffith hopes to also make history by revolutionising the national university. He said that his vision for a renaissance project is both a dreaming and doing project. “Why dream, some have asked, when this University has suffered such neglect and for so long? This Renaissance Bridge Building Project has four main pillars, called imperatives, and six values,” asserted Professor Griffith. According to the university’s Principal, the first imperative is capital investment, which involves human capital, physical capital, and brand capital. Second to this is academic enhancement, which Professor Griffith said, entails improving instructional credentials, curricula and andragogy [adult education], and introducing new educational programmes and research to address national and regional business, civic, and overall development needs. He pointed out that the economic viability imperative is the third pillar. This imperative, he said, requires fortifying the major existing revenue streams, that is, government subventions and tuition fees but also expanding the revenue base, through alumni and corporate giving, grants, and merchandising. The fourth Imperative, Alumni Engagement, entails reaching out to UG graduates within and outside Guyana, celebrating their accomplishments, and inviting them to aid the continued pursuit of our mission and goals. “As one might suspect, pursuing Project Renaissance has daunting, Herculean elements. 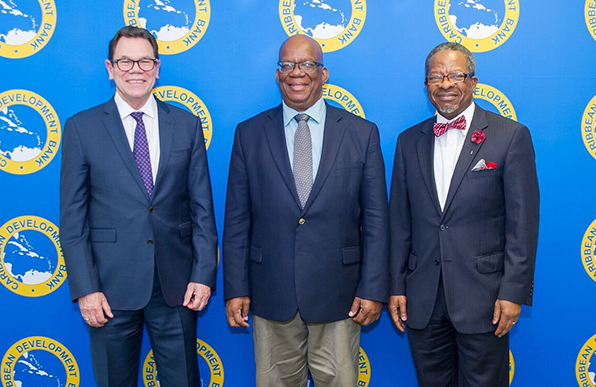 It entails facing and fixing, to quote writer James Baldwin, and it involves pursuing new ventures and setting new baselines, some of which are new to UG and to Guyana, although not new to the academy in many parts of the world,” said Professor Griffith. But such values, according to the Vice Chancellor, cannot be merely platitudinous incantations; they must be lived. He added, “in relation to excellence, for example, Aristotle reminds us of the importance of habituation: ‘We are what we repeatedly do. Excellence, then, is not an act but a habit,’ he said. Living these values is particularly important at this period of Guyana’s contemporary history, as our nation has a considerable Respect-deficit and Integrity-challenged profile. The onus is on us at the University to aid the alteration of this profile over time,” underscored the Vice Chancellor. Even as he pointed out that changes introduced at the university have started to yield laudable results, Vice Chancellor Griffith noted that this has not been without challenges and criticisms. He, however, noted that the University will continue to boasts of its success. This, he revealed, will entail the posting of a scorecard to the University’s website for the world to see.